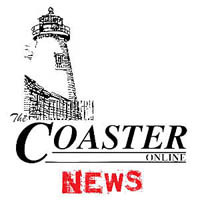 Bradley Beach officials have appropriated $325,000 in funds for Ocean Park roadway improvements. Officials have applied for a grant from the state Depatment of Transportation to help pay for some of the improvements. “If that work comes in, the DOT tells me that the sewers over there are not in bad shape, and they’re also 10-15 feet deep,” said Borough Engineer Gerald Freda who said the DOT had videoed the sewers. Councilman Sal Galassetti said the sewers had been videotaped years ago, but recommended lining the sewers as a cost alternative. In other business a bid for the Brinley Avenue Concession stand was accepted by the Borough Council for the minimum amount of $33,000. The bid was offered by Hillary and Trent Colanduoni. Freda said on Feb. 15 there will be a pre-construction meeting with Fiori, the contractor for both Loraine Avenue Part I and Part II. The current work on LaReine Avenue is stalled. It is hoped, however, the entire street from Main Street to Ocean Avenue will be finished before Memorial Day as work will begin again in March. Ocean Avenue handicap ramps were suspended for the winter. Freda said the contractor has 9-10 ramps left to finish once concrete can be poured again. “We did have some additional funds, so we’ll be able to do a little bit more curbwork on the south end,” Freda said. The council also adopted an ordinance which limits the parking time to two hours between the hours of 8 a.m. and 6 p.m. on Main Street from the northern most section of the borough line, south to Evergreen Avenue. The only exception will be the west side of Main Street from the corner of LaReine Avenue, 147-feet north, shall be 15-minute parking for borough business only. Code Enforcement Director Bryant Curry discussed an ordinance which would amend the definition of the grass planting strip by restricting the use of artificial grass as well as other materials including brick, concrete pavers, asphalt, and stone. Residents with these materials already in place will be grandfathered in. Councilman Harold Cotler asked that the ordinance be tabled and reworded to not absolve irresponsible contractors and town employees. The ordinance will be reviewed and reworded by Curry and Borough Attorney Michael DuPont to reflect the council’s concern. Curry also addressed the concern of a resident regarding the Bingo Hall property. Curry said the synagogue, which owns the property, has been notified that the contractor must clean up the demolition site and not use it as an equipment storage facility. Mayor Gary Engelstad urged Curry to give the contractor and owner a timeline for clean up. The council also authorized the county of Monmouth Mosquito Control Division to conduct aerial mosquito operations with the stipulation that the borough should be notified seven days prior to the spraying to effectively notify residents, especially those with emphazemia.